Stezza has been my favorite music player app for the AppRadio for quite some time now and it has gotten even better in recent months. The app has been updated to version 2.0 recently with various improvements and performance enhancements. Among the various feature improvements these are two of my favorites: Video playback and color themes. 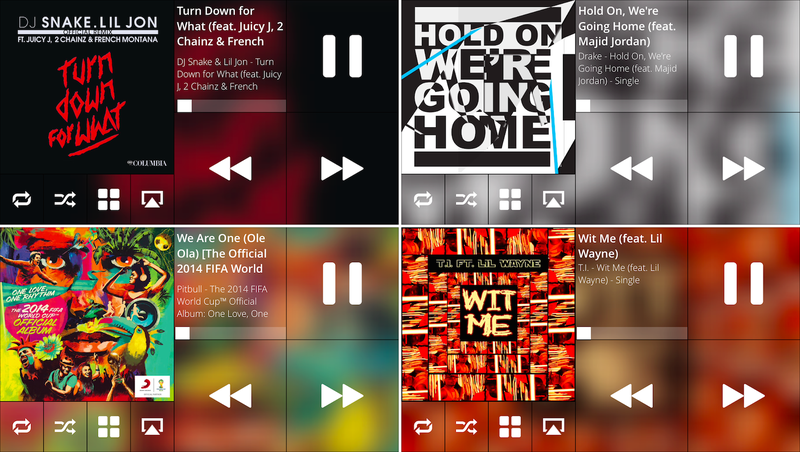 Stezza was updated to version 2.0.1 yesterday with a minor improvement to the video player for AppRadio. The video playback feature allows users to add videos to the App using File Sharing on iTunes. The videos or movies in your iPhone's 'Videos' app are not accessible from here. To add videos for playback in Stezza you will need to hook your iPhone to iTunes on your computer. In iTunes, under 'Apps' you will find a 'File Sharing' menu. Find Stezza in your list of apps and add the video files you want to the app. Click sync and let iTunes do its thing. Once video files are added to Stezza, you can view and watch them by accessing your media within the app. A tab called 'Shared Movies' appears at the top of the list under the 'More' option. Initially Stezza featured only 9 different color themes. But now you can choose any color theme you want using the color slider. Additionally, there is a blended theme available, where the theme changes based on the album art of the song you're playing. The app uses the album art in the background to blend the colors in the interface. And the colors change as the songs change. Download Stezza: Stezza is available for download in the App Store for $1.99 only. It is well worth the money especially if you own an AppRadio Mode capable head unit in your car. Stezza is AppRadio compatible giving you full touch control from your dashboard.